After spending a few nights at The Majestic Malacca Hotel, also a property of YTL Hotels, I was pretty excited about my stay at the Cameron Highlands Resort. With its attention to details, incredible staff and award winning spa, the Cameron Highlands Resort not only matched my expectations but exceeded them. 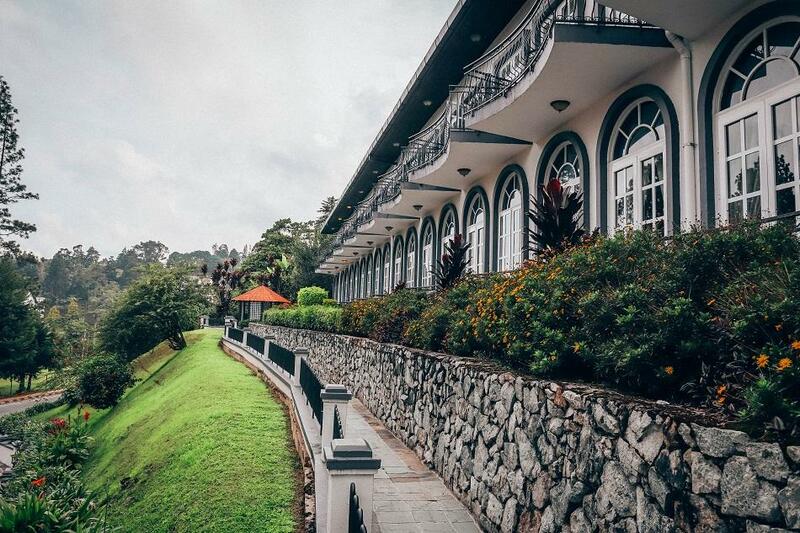 Situated in the heart of Cameron Highlands, the resort was named after William Cameron, a British man who discovered the area in 1885 on a mapping expedition. Nowadays, Cameron Highlands is mostly known for its vast tea plantations and strawberry farms. Check out my article about Cameron Highlands here. Built in 1930 as an extension to a cottage, the history of Cameron Highlands Resort can be felt through every single piece of furniture. Its colonial heritage can be seen everywhere, starting with the doors and ending with the little details such as the lamps and the fireplace. Even though everything is perfectly arranged and polished, Cameron Highlands Resort feels like a welcoming home. Cameron Highlands Resort has become a landmark in the area over the years. Getting there by taxi won’t be a problem since everyone living in Cameron Highlands knows where it is situated. If you are coming from Tanah Rata, the best option is to take a taxi from the bus station to the resort. The ride will take about 10 minutes. For me, luxury is a state of mind. It’s in the attention to details, it’s in the way you are treated and how you feel when you walk inside a place. From the moment I entered the Cameron Highlands Resort I knew that my stay there will be an unforgettable one. There is nothing that makes me feel more welcomed than seeing some smiling faces. The staff at the Cameron Highlands Resort is incredible and they will make sure to do everything to make you feel great. If you have any problems or requests, do not hesitate to call the reception. The check in procedures lasted only a couple of minutes and soon we were already in our room, admiring the views from our balcony. With a view over the golf course, our room featured a king size bed, a TV, minibar, WiFi, fresh fruits and my favorite part – tea. You can’t visit Cameron Highlands without trying the tea. My mornings at the resort always started with some tea on the terrace overlooking the golf course. After spending some time in bigger cities such as Kuala Lumpur and Melaka, breathing the fresh, crisp air at Cameron Highlands was everything I needed. Our luxurious bathroom had marble tiles and premium toiletries, as well as slippers and a hairdryer. Overall, our room was extremely comfortable and spacious. The only thing we regret is not staying longer. The Cameron Highlands Spa Village is an oasis of relaxation and pampering. I chose the Chrysanthemum and Avocado Escape and the 2 hours of treatment made me feel 10 years younger. All the treatments at the spa are based on natural ingredients which can be found in the surrounding jungle. My treatment started with the signature tea bath filled with Chrysanthemum flowers which boosts the immunity and eases the tension. In Asian culture, bathing rituals are considered an integral part of both physical and spiritual cleansing. After the bath, I enjoyed a full body massage with avocado oil which was hands down the best I’ve ever had. My massage therapist was very kind and friendly and made me feel like a princess. As the perfect ending for my spa experience, I also enjoyed an Avocado Scalp Treatment. Created to nourish the hair and improve the hair growth, the avocado oil has definitely made my hair glow. The Cameron Highlands Resort offers 3 different dining experiences: the Dining Room, the Jim Thompson Tea Room and Gonbei. Every morning, be prepared to start your day with a delicious selection of cheese, ham, pastries, yogurt, fruits, vegetables and drinks (tea, coffee, fresh juices). You can also choose one of the dishes from the a la carte menu. With beautiful views over Cameron Highlands, the Dining Room has a cozy atmosphere. I always started my day with an Earl Grey tea and some pancakes or eggs. On our last day at Cameron Highlands Resort we also had dinner at the Dinning Room. I definitely recommend trying the lasagna. It was absolutely delicious! ‘What can be so exciting about tea?’ you might ask. Well, having tea at the Jim Thompson Tea Room is not an ordinary experience. Apart from drinking one of the best Earl Grey tea I’ve ever had, we also indulged in fresh pastries, strawberries covered in chocolate, sandwiches and scones all wrapped up in a stellar presentation. I’ll let the photos speak for themselves. Because we loved so much the feel of Jim Thompson Tea Room, we also chose to have lunch here on our second day at the resort. Everything was delicious but my favorite was the DJ Fried Chicken. The dinner at Gonbei was my first hotpot experience. Even though I’ve seen it all around Asia, I’ve never tried it because it seemed difficult to prepare. If you are wondering what a Steamboat dinner is, it’s basically a pot of boiling broth where you add your own combination of vegetables, noodles and meat. The result is a delicious soup, perfect for dinner. The restaurant staff was kind enough to walk me through all the steps necessary for cooking my dinner. From choosing my vegetables, noodles and meat to actually cooking my soup. It was really nice to have somebody to walk me through the process. I will definitely repeat this experience. After eating our delicious soup, it was time for desert. I was more than happy to see that all the cookies and cakes had strawberries as the main ingredient. 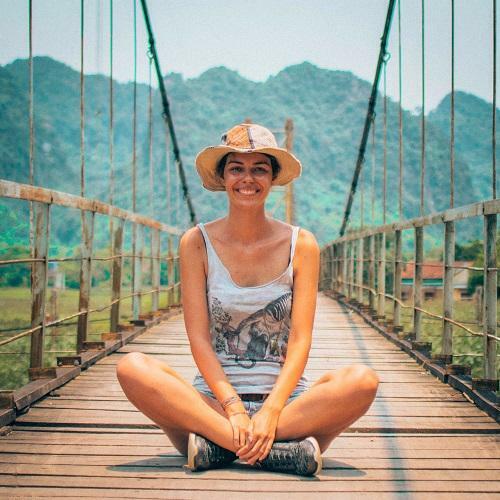 The perfect escape in the heart of nature, a walk through the jungle with our guide – Madi was one of the highlights of our stay at Cameron Highlands Resort. The dense jungle is home to many species of plants and animals and I only wish to go back and explore more. Madi led the way inside the jungle and showed us different types of wild orchids, ferns and many other plants. We were amazed to find out that the banana plant dies after blooming and producing fruits. Also, on our way home we were lucky to spot a ‘Touch me not’ plant. When you touch this plant, its small leaves fold as a defense mechanism. In the evening, on our second day at the Cameron Highlands Resort, we were invited at the Fire Ceremony. We went to the library, and I had the pleasure to light the fire in the fireplace. After making ourselves comfortable on one of the sofas, enjoying the heat from the fireplace, we drank a glass of strawberry mocktail. In case walking through the jungle was not enough for you, you can head to the gym. The Cameron Highlands Resort features a fully equipped gym, perfect for your daily routine. Also, the resort has a souvenir shop and a library where you can peacefully read a book. Our stay at the Cameron Highlands Resort was perfect from the beginning to the end. Apart from all the beautiful furniture and colonial architecture, the people made us fall in love with this place and plan our next trip to Cameron Highlands. If you want to book your stay at the Cameron Highlands Resort, click here or use the search box below. Disclaimer: I was welcomed at Cameron Highlands Resort as a guest. As always, all opinions are my own and they reflect my true, unbiased experience. This post contains affiliate links, at no extra cost to you.